Lawn Pro specializes in Wall lawn care services such as outdoor environments, extended living spaces where New Jersey homeowners can relax or enjoy entertaining guests with a space that is custom designed to fit your individual style and budget. Our experienced landscaping team executes the job, using our state of the art equipment and uses only the highest grade of materials to complete the Wall paving project. 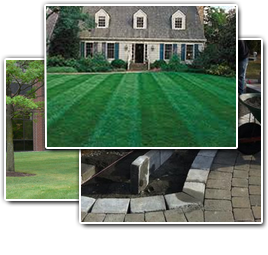 Having created paved driveways and customized New Jersey hardscapes over the years gives our professional landscapers the experience necessary to handle any Wall brick or paver installation regardless of the size or complexity. A well designed and properly executed brick or paver installation will provide you and your family with years of enjoyment, curb appeal and increased property value. This all can be accomplished with the use of color, line, texture, shape, form, scents and sounds. During your consultation we will address all of these aspects to come up with a unique landscaping design that you, your family, customers, or employees can enjoy for years to come. Why Go For a Professional Lawn Care Service in Wall? 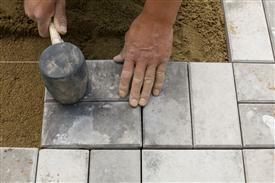 If you are looking for Wall Brick / Paver Installation then please call 732-614-6225 or complete our online request form.